And thanks to the fine folks behind the camera for Jomez Productions, Central Coast Disc Golf, and Prodigy Disc Video, we had plenty of highlights from which to choose. Without further ado, here are our staff’s 10 favorite shots from a week that will go down in disc golf history. 10) McBeth Finds A Window (Central Coast Disc Golf) Paul McBeth went down swinging on Saturday, posting an 11-under par round to jump into second place. He started the effort in fine fashion with this long approach on hole 1, in which he somehow found a way through and ended up with a tap-in birdie. He also managed to park his drive on hole 13, despite tossing it virtually into the ground right in front of him. Four-time champ stuff, right there. 9) Jenkins Saves Par From Way Downtown (Prodigy Disc Video) Valarie Jenkins made a final round push that nearly derailed Paige Pierce’s title hopes, but that push actually started in the third round with putts like this one. The 70-foot par save on hole 15 at W.R. Jackson was instrumental in keeping Jenkins in contention. 8) Lizotte Goes On A Roll (Jomez Productions) Simon Lizotte and JohnE McCray gave fans a secondary battle on the final round lead card, clawing for third place down the stretch. This roller from Lizotte on the final hole put him 45 feet from the pin, and he connected on the putt to share third with his veteran rival. 7) Owens Puts The Righties To Shame (Jomez Productions) Left-hander Devan Owens didn’t exactly have an advantage coming into hole 11 at Fort Gordon’s Marine/Navy course. The left-arcing shot doesn’t play to a backhand line, but you’d never know it by this shot during round two, which was just one of many that helped vault him to a fifth-place tie during the week. 6) Fajkus ‘Til You Make It (Prodigy Disc Video) Longtime Texas pro Lisa Fajkus made her mark down in Georgia, riding a strong putting game on the way to her third place finish at Worlds. She crushed Fort Gordon during Saturday’s final en route to that career-best showing, and this birdie putt on the 1,060-foot 9th hole put a cap on a run of four straight. The two-feet together stance? The jump? The child-like skip toward the pin? We love all of it. 5) Hammes Hammers It Home (Jomez Productions) 18-year old Adam Hammes stole the show at Worlds, vaulting to the lead card after a stellar third round in which he leapfrogged McBeth, Lizotte, and Eagle McMahon. Hammes’ final day performance didn’t go quite as planned and, he dropped to 10th place, but this clutch putt on hole 10 shows he’s got what it takes for future success. Fearless. 4) Sockibomb’s Away! (Central Coast Disc Golf) It just wouldn’t be a Ricky Wysocki world title run without some signature Sockibombs. This long-range putt during round three at Jackson was one of a few that he hit from “Ricky range” on the day. 3) Pierce’s Makes Like Reggie Miller — For 3! (Prodigy Disc Video) As Wysocki can tell you, championships are all about putting. Pierce gets herself one shot closer to her eventual title with this beauty during round three, canning the jumper for the birdie 3 on hole 5 at Jackson. 2) McMahon Cans Worlds’ Best Putt (Jomez Productions) Though Worlds didn’t end up quite going his way — he finished in 26th place after struggles during round three and four — McMahon showed flashes of brilliance. This shot up and over the hill on hole 15 during round three at Jackson, for example, was the best putt of the event. And that’s saying something, considering who won the thing. 1) Wysocki’s Houdini Act Closes The Door (Jomez Productions) Wysocki’s innate ability to escape from poor lies was instrumental in his world title march last week. This shot on hole 11 during the final round at Fort Gordon dropped five feet from the pin, effectively sealing his win with seven holes to play. If his putter is the Dagger, call this one the nail in the coffin. Did we miss any shots? Leave us a comment and let us know your favorites from the week! 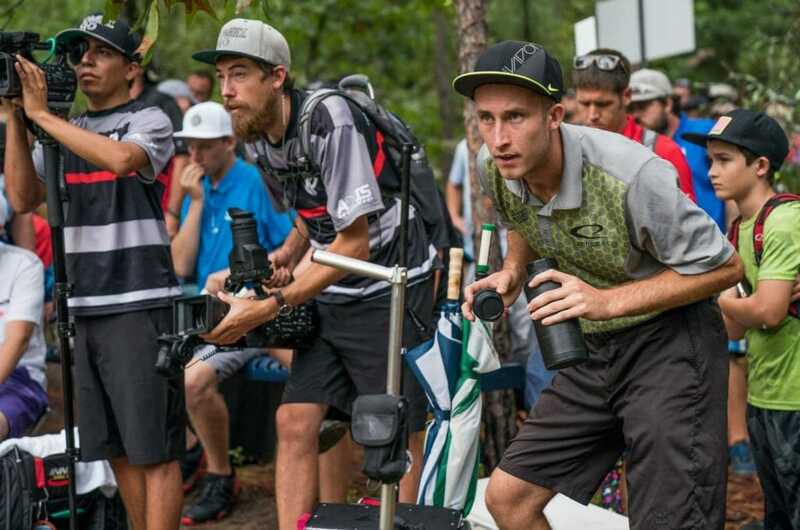 Comments on "The 10 Best Shots From PDGA Pro Worlds"